For new trends and wedding decor ideas follow us on Facebook! Mila Design Special Events Florist Company established the European Floral Art School to promote at the highest-level possible, European floral design. We use Dutch intense programs of training; advanced techniques allow creating master-class arrangements. Based in Chicago, Illinois, our floral design classes serve commuter students from Chicagoland as well as attracting national and international attendees from across the globe. 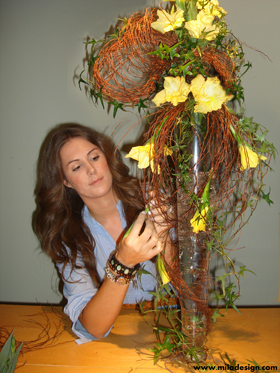 For more information, please visit our new European Floral Art School site at www.milafloraldesignschool.com!